The constant velocity carburetor - Page 2 - NGWClub®, Inc.
Yep, I remember the predator carb. Could not put it on my Eldorado back theses days, because of the mentioned hood clearance. It was more or less a simplified Ford VV carb. I love these articles, though they leave me quite a bit behind. I get a kick out of what I learn, though now only enough to be dangerous. Thank you all. A bit late, but today I suddenly remembered the KENDIGURETOR, which was an early VV carb for cars. I never owned one, but I remember it was some hybrid of Fish carb and Predator carb. There is one for sale on https://www.ebay.com/itm/173215671813! Does anyone remember the Fish Carburetor / Reece Fish in UK? I still have one on the shelf. 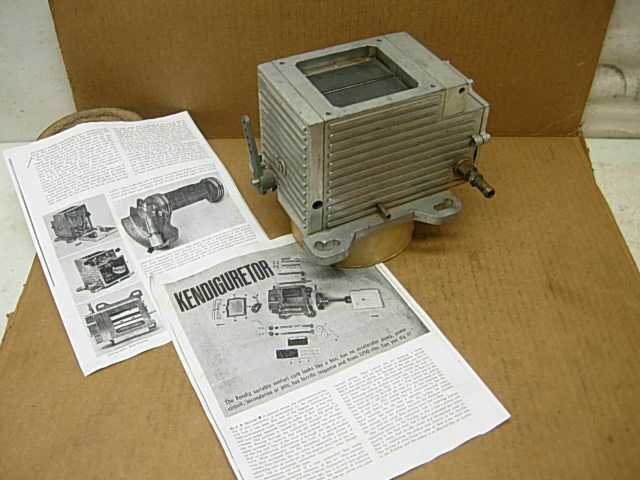 The Kendig was actually a predecessor to the Predator carb which came later. I had a Predator for a while, problem with it though was that it was a racing carb so it had no idle circuit which meant it had a very rich air/fuel ratio at idle and would foul your spark plugs in a hurry if the engine idled for too long plus it was a lot taller than your average Holley 4 barrel carb which made for hood clearance issues if you didn't have a hood scoop to accommodate it. They actually kept making the Predators until not too long ago although you can still get parts to rebuild them. Kendigs on the other hand are pretty rare. As luck would have it, I eventually became an instructor for the Ford VV carb repair. After a few years experience with it, I came to understand it and tried to convince my "students" that it was truly a fine piece of engineering and would operate as smooth as any carb out there and was the closest thing you could get to fuel injection. The second generation VV had a feed back actuator installed and when adjusted properly, the air/fuel mixture responded directly to the engine load instead of just throttle plate movement. Probably the reason most mechanics disliked (hated) it was other than idle speed, all adjustments required removal from the engine and the use of a dial indicator to properly set the CER (cold enrichment), CVR (control vacuum regulator) and accelerator pump. It probably would have been used longer, but electronic fuel injection was just around the corner and soon took the place of almost all the carburetors.